Dooley Lucenti was pleased to sponsor a wonderful fundraiser hosted by the Barrie Lawyers Feed the Hungry in support of the Salvation Army Barrie Bayside Mission. Sabrina Lucenti initiated the program in Barrie in September 2015. 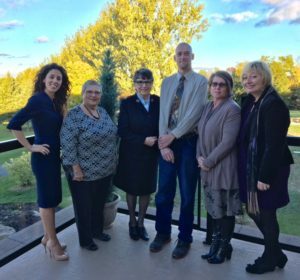 Pictured with Sabrina Lucenti were the honorary guests from the Barrie Bayside Mission – Joanne Blackmore, Major Florence Sharples, Timbo Wyatt, Tracey Dechamps and Connie O’Neill.